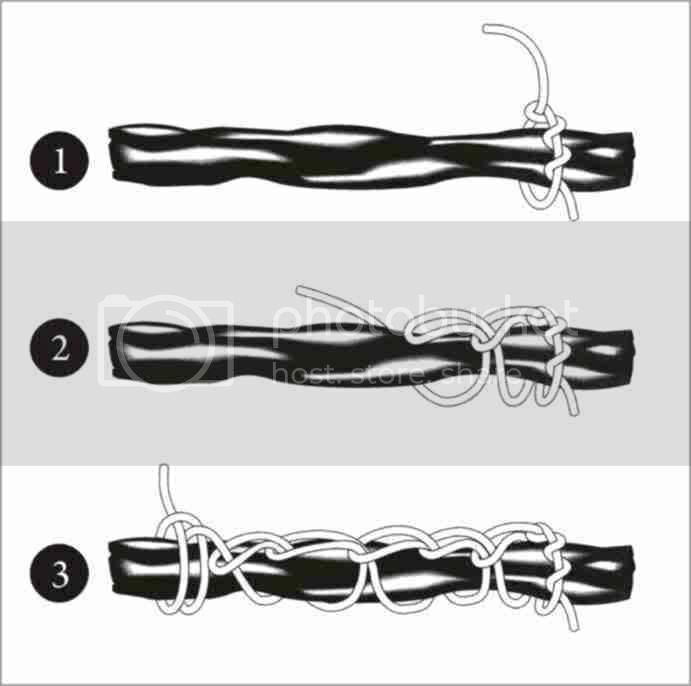 Aplications : This technique is ideal for securing a range of soft and awkward long bundles, from rolled carpets to furled sails. There is give and take in the embrace of the lashing, and it is therefore suitable for loads that bend and flex. Method : This technique needs a long rope or cord. Start with a timber hitch (1 and see Killick Hitch). Loop one bight through the other, finishing off with a clove hitch (2-3, and see Clove Hitch). Untie the clove hitch, withdraw the end, pull and watch it unravel.